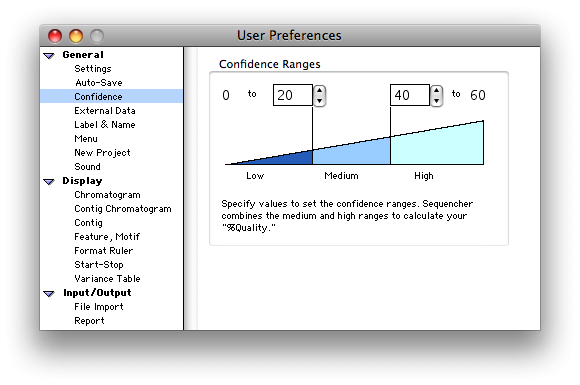 Sequencher displays confidence and summary confidence information (if available in your DNA sequence files) in the Project window, the Sequence Editor, and the Sequence Get Info window, so you can easily monitor the quality of your data. You can even specify cutoff ranges for your confidence values, and see those ranges by color codes. For more information about how Sequencher handles Quality Scores, please see the Quality Scores tutorial.